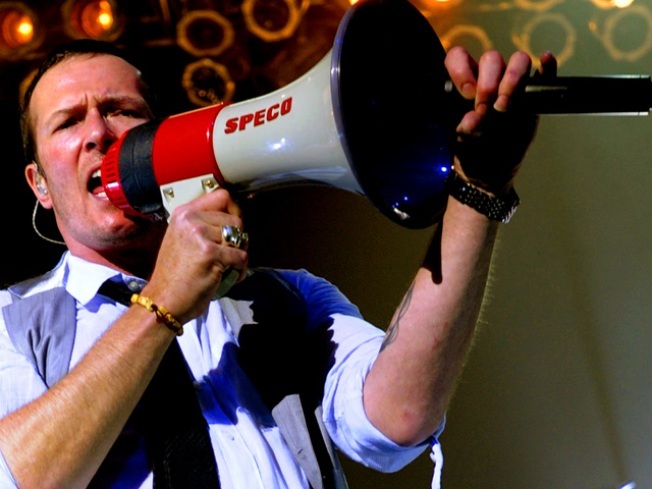 Scott Weiland of the Stone Temple Pilots performs at the Austin Music Hall as part of SXSW 2010. Grunge bands Stone Temple Pilots and Alice in Chains will headline the 31st Annual DC101 Chili Cook-Off May 22 at RFK Stadium Festival Grounds. It’s considered DC's biggest one-day rock festival and is expected to raise $1.6 million to benefit the National Kidney Foundation Serving the National Capital Area. Growing in stature and gaining momentum every year, the DC101 Chili Cook-Off is the biggest one-day fundraiser for the National Kidney Foundation nationwide. Last year's Cook-Off attracted about 30,000 people and raised more than $1.5 million to support the foundation's programs in research, patient services, professional and public education, and organ donation awareness. "The Chili Cook-Off is a significant fundraiser that helps support programs such as research that leads to medical breakthroughs, our patient emergency fund and free early detection screenings for at-risk members of our community," said Preston Englert, division president of the National Kidney Foundation Serving the National Capital Area. "This is crucial because the Washington, D.C., area leads the nation in the prevalence of kidney disease." True to its name, the Chili Cook-Off features an intense competition between 101 chili cooks in four categories: red chili, green chili, freestyle and salsa. Among the celebrity judges at Chili Cook-Off 2010 will be Washington Redskins tight end Chris Cooley, quarterback Colt Brennan and safety Reed Doughty, whose son received a kidney transplant in March 2008. Bands joining the Stone Temple Pilots and Alice in Chains on stage will include Cage the Elephant, Switchfoot and Anberlin. Tickets cost $35 in advance and go on sale March 26. Tickets at the gate on the day of the event cost $55 each.